Bali islands has attraction for domestic and foreign tourists to come see the country, spend holidays, even relax with the beauty of natural scenery incredible, thick cultures that are still awake and tourist destinations such as sights and places of interest were able to invite many tourists to stop by and enjoy it. One of the attractive cultures is an event that held once a year in Bali, called Sanur Village Festival that was held at Sunrise Beach (the area of Sanur Beach). Sanur Village Festival 2013 held once a year. The concept of Sanur Village Festival 2013 theme this year is "Segara Giri" The Spirit of Heritage News. 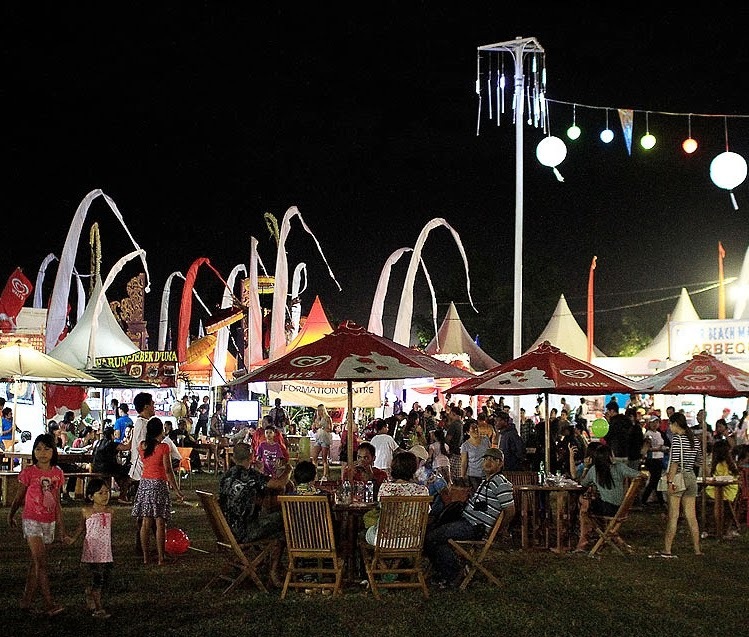 Activity Sanur Village Festival 2013 held from 24 to 28 October 2013. Sanur Village Festival 2013 many booths filled with very interesting as a stand to offering fashion fabrics ‘endek’ (Balinese cloth), motor show, food booths ranging from Balinese menu, Italian cuisine, wines like-Stand drinks, burgers, noodles, stand special children's games, and most become the focal point is the view of the audience entertainment stage. Activity evening was filled with dance fragment accompanied by music titled cane baleganjur’ very well sung by a group of dancers. The tourists are very typical satisfied see the attraction of the island's culture even watched them until a standing applause. To get into the Sanur Village Festival 2013 visitors only charge IDR 3,000 fine for parking fees.